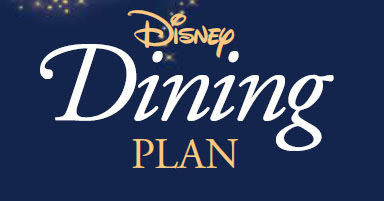 Along with the release of the Disney World packages comes the Disney Dining Plan. There are some changes to the 2013 plans. Le Cellier has been two credits for dinner. For 2013, lunch as been changed to two credits as well. The highly anticipate restaurant will be part of the Disney Dining Plan. The location which will serve as a quick-service location for lunch and table-service for dinner will be included for both meals. The times for Hoop-Dee-Doo have changes to one hour earlier than in 2012. The dining plan includes the category 1 seating which will now be at 8:30 pm. Under certain items not included it now states "special dining events with special menus offered at certain table-service location". An addition this year is that an automatic gratuity will be added to your bill for any items that are not included in the Disney Dining Plan, such as alcoholic beverages. The restaurants included are not finalized as many of the contracted locations wait until the last minute. Check back for more updates.